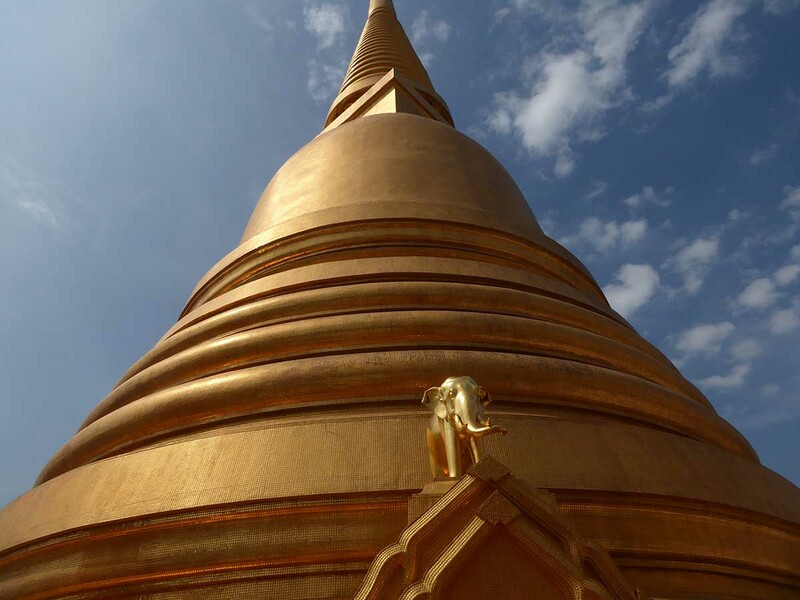 Wat Bowonniwet Vihara was built in 1829 and is one of Bangkok’s most important temples. 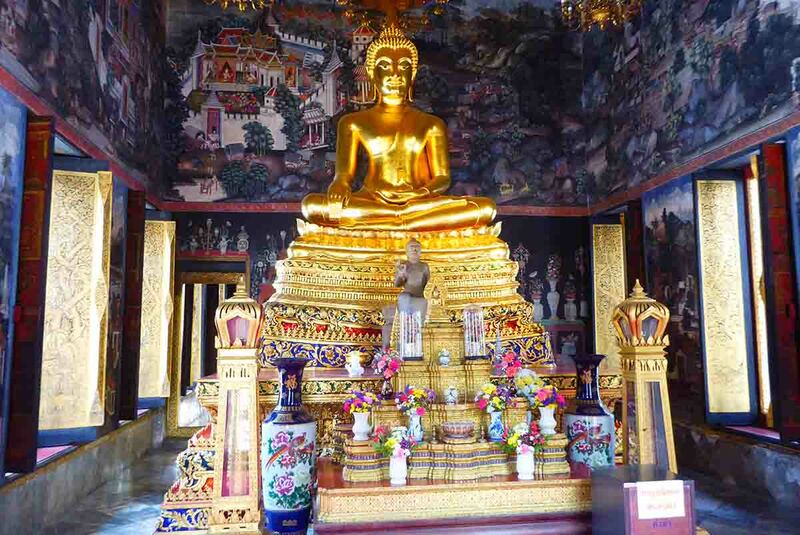 There is a very ornate shrine hall featuring murals depicting early 19th century Thai and western life and a 14th-century bronze Buddha image with a second larger image behind. 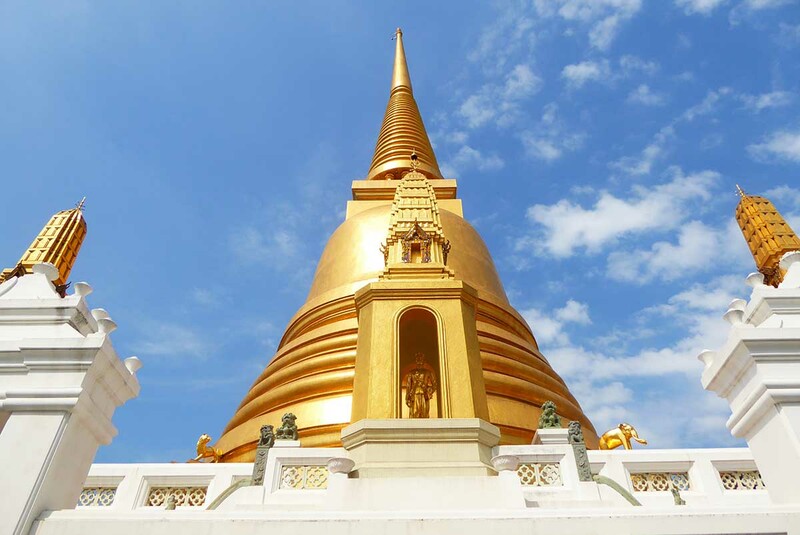 A bell-shaped Golden Chedi holds relics and ashes of Thai royalty and is surrounded by a marble walkway with a statue of King Mongkut at the base. 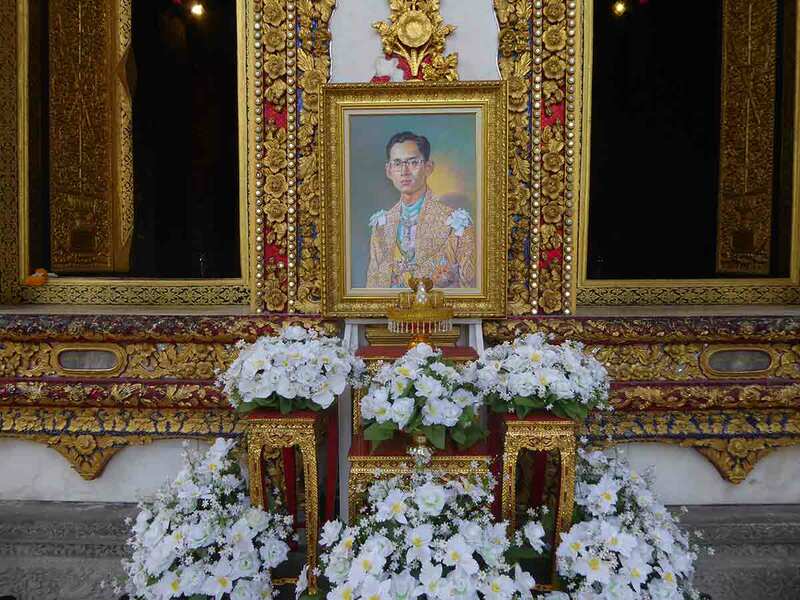 Wat Bowonniwet is where many royal princes studied and served their monkhood including HM King Bhumibol and his son Crown Prince Vajiralongkorn who is now King Rama X after the death of his father. It is also the national headquarters of the Thammayut Buddhist sect and houses Mahamakut Buddhist University. 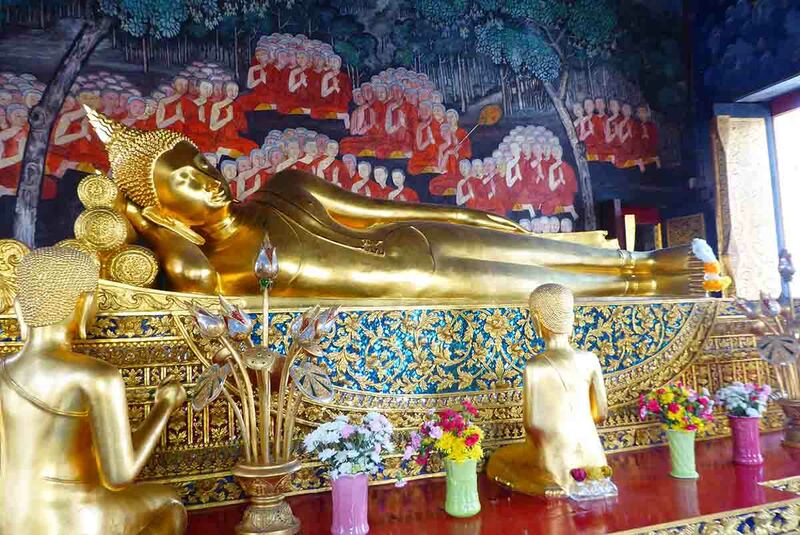 Elsewhere in the grounds are a reclining Buddha and large stone carvings of the Buddha’s footprints, both thought to be over 500 years old. 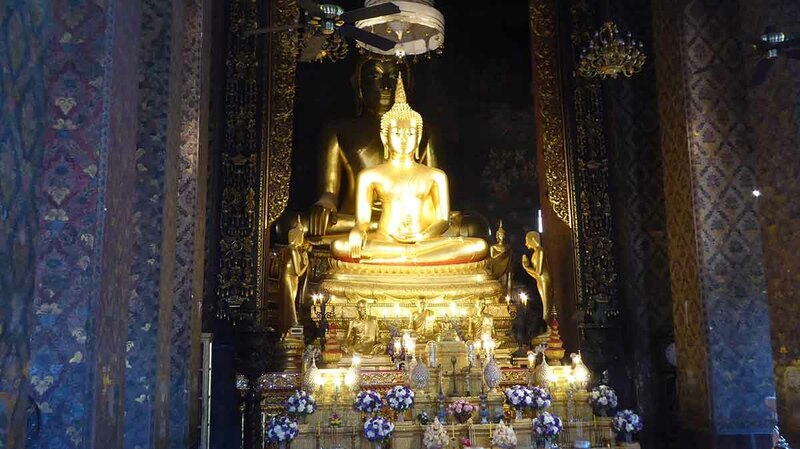 It is located within walking distance of Khaosan Road.